Modern art you can really feel. The first look is long, and followed by a second one of nearly equal length. It’s part automobile, part sculpture. And it’s all yours. The roofline slopes downward, merging seamlessly with the back, conveying style, and performance. 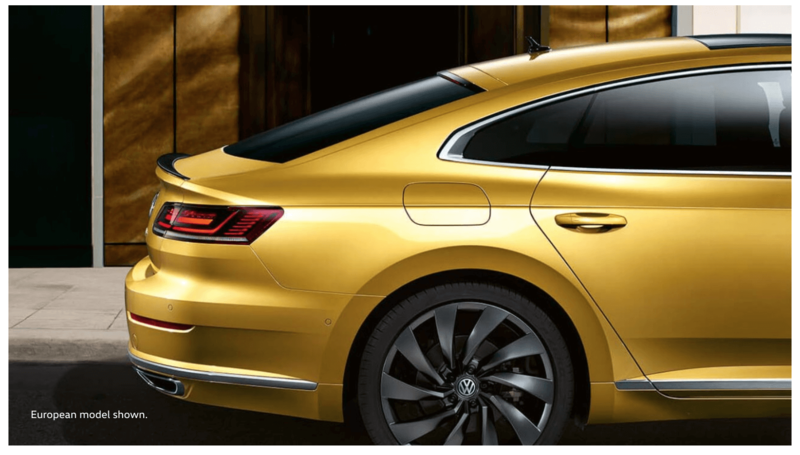 The fastback look is only part of what makes Arteon so stunning. There’s the muscular stance, frameless windows, and a wide chrome grille that blends perfectly into the LEDs to create an unforgettable front fascia. 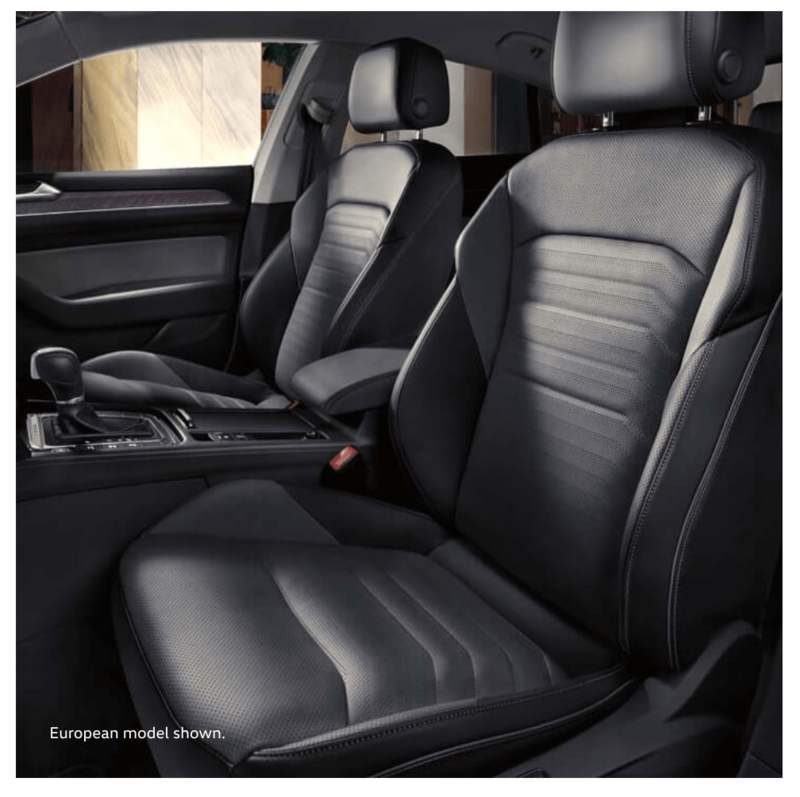 The front sport seats are as stylish as they are comfortable. And if you add the available ventilated and driver-massaging feature, you may never want to get out. The available R-Line Package adds a large helping of style and swagger to a car that already has plenty of both. Features include 19″ or 20″ alloy wheels, and R-Line bumpers with high gloss black accents. The look may be classic, but it’s far from the only story. We gave the Arteon a host of performance features that help make it as much fun to drive as it is to stare at. There’s a lot to stare at inside, too. The standard and available features on the Arteon help explain why it’s justifiably called a premium sedan. Within the plush and spacious interior are a long list of things that delight both driver and passenger. 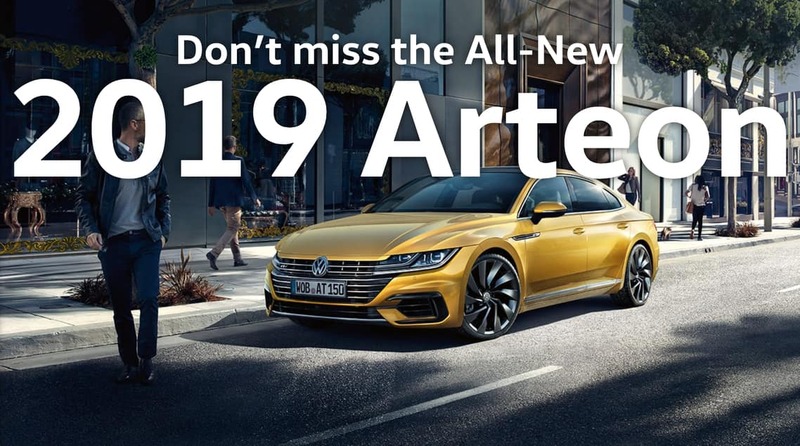 Sign up here and get the latest updates on the All-New 2019 Arteon and be one of the first to test drive this premium sedan! Yes! 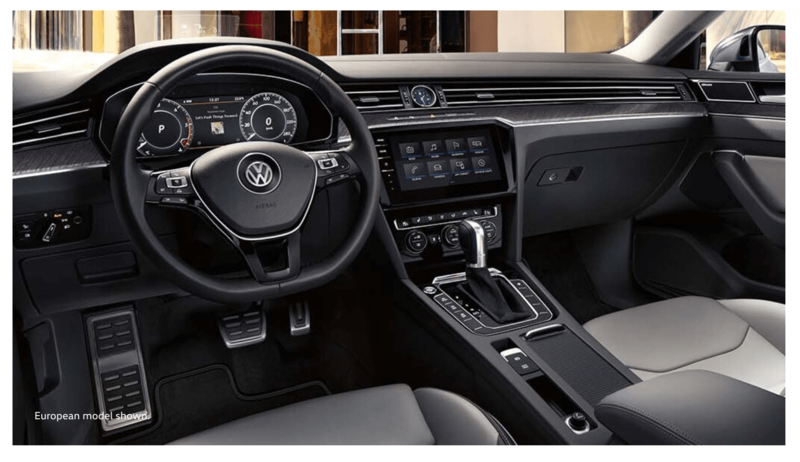 Please sign me up to receive e-mails and other communications from Maple Volkswagen. And please send me information on products, promotions and other related information.